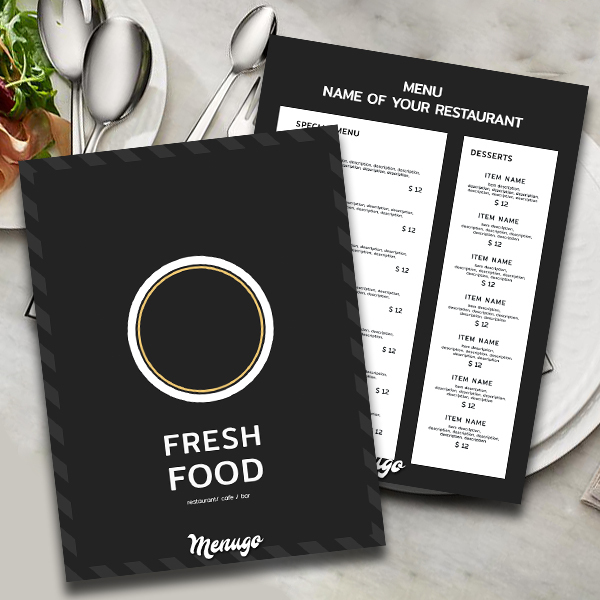 Black Generic Menu Template. Elegant black and white. Suitable for all types of restaurants, cafes or bars. Not tethered to a certain type of cuisine, so just customize as you need!